Medical errors in the US claim over 250,000 patient lives annually. On average, 30% of medical errors, such as medication errors, blood transfusion errors, radiation overdoses, and wrong patient surgeries are directly caused by patient misidentification. As a result, the Joint Commission has declared improving patient identification to be #1 Patient Safety goal for hospitals. 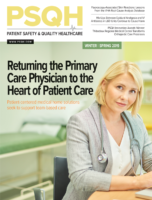 Most hospitals today are unable to positively identify patients as they rely on legacy, manual processes, and tools, such as photo IDs, oral demographic data, or social security numbers. This can create patient identification errors that jeopardize patient safety, impede patient engagement, and result in serious financial inefficiencies for hospitals.